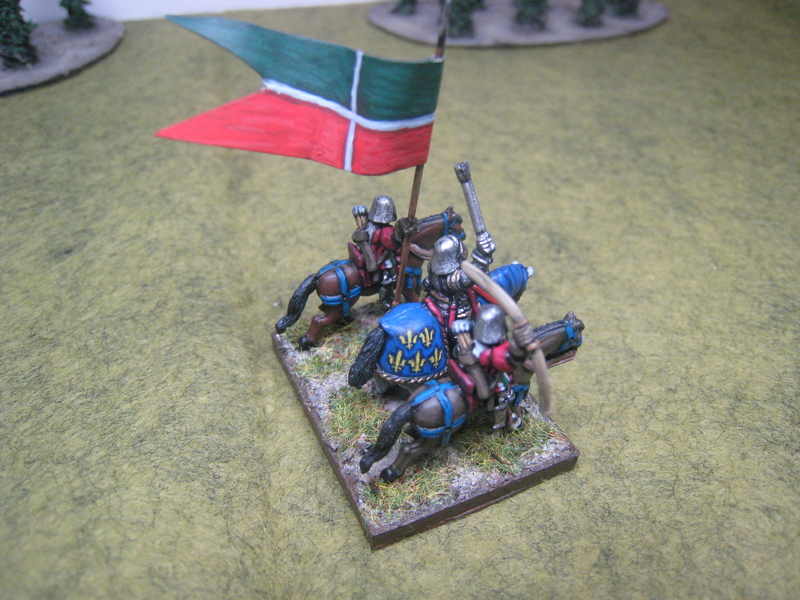 A blog dedicated to Miniature Wargame Figures painted by Tony Aguilar. 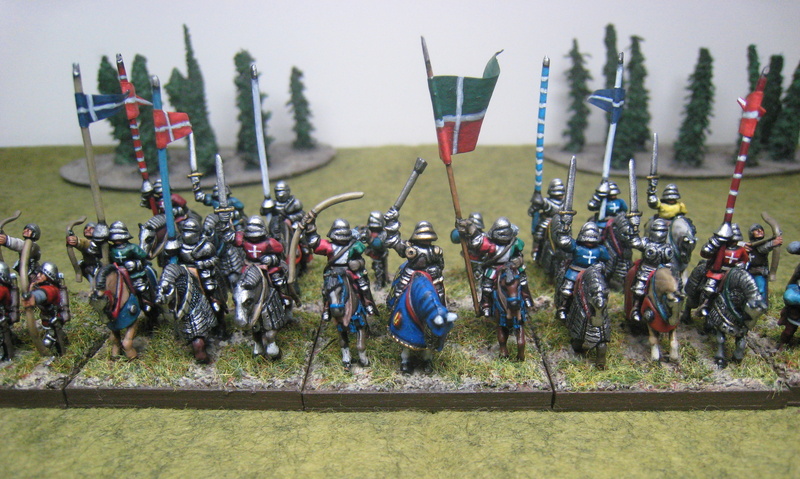 This is the French Ordonnance Army for DBA v. 2.2 during the reign of Charles VII at the end of the Hundred Years War. 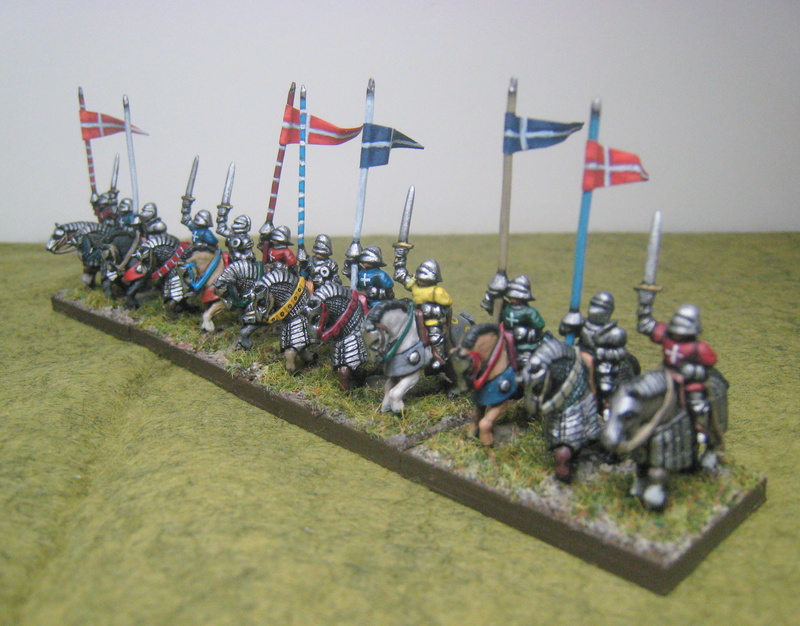 All figures are 15mm scale. 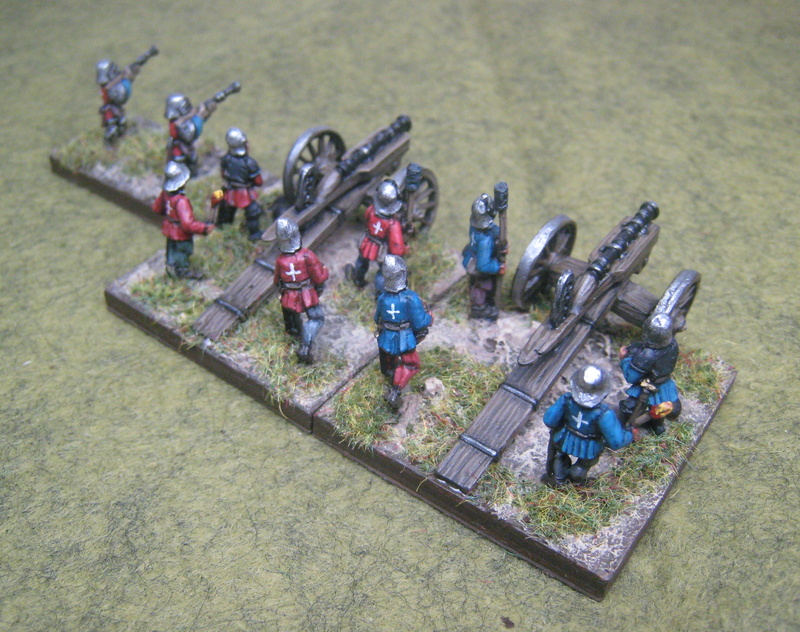 The army is composed of figures from Roundway with the exception of the two cannon, which are Old Glory. 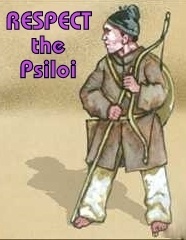 I wanted the army to have a uniform look, but also have some individuality. 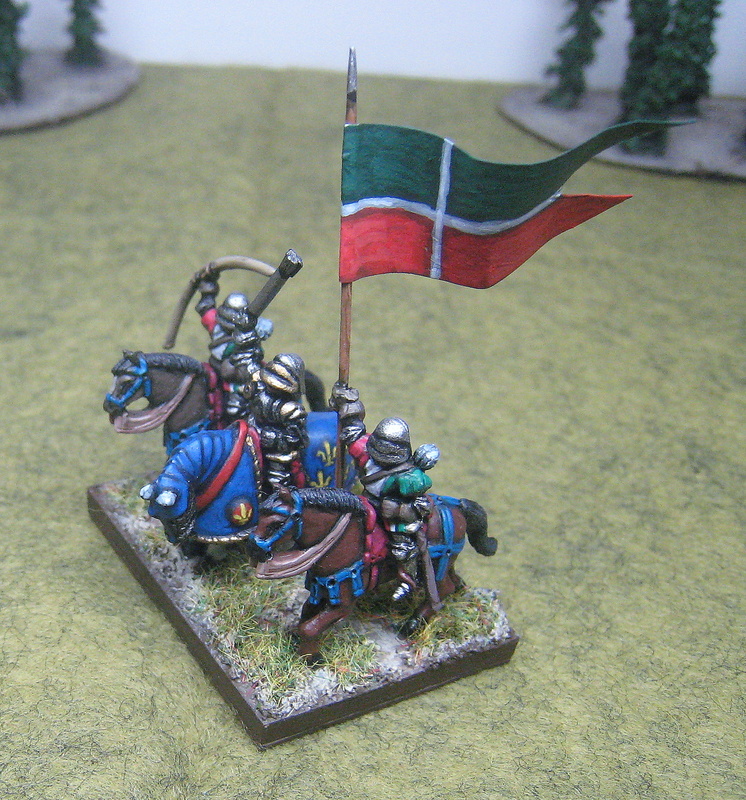 I used the “Vigiles de Charles VII” as one of my main inspirations for this army. 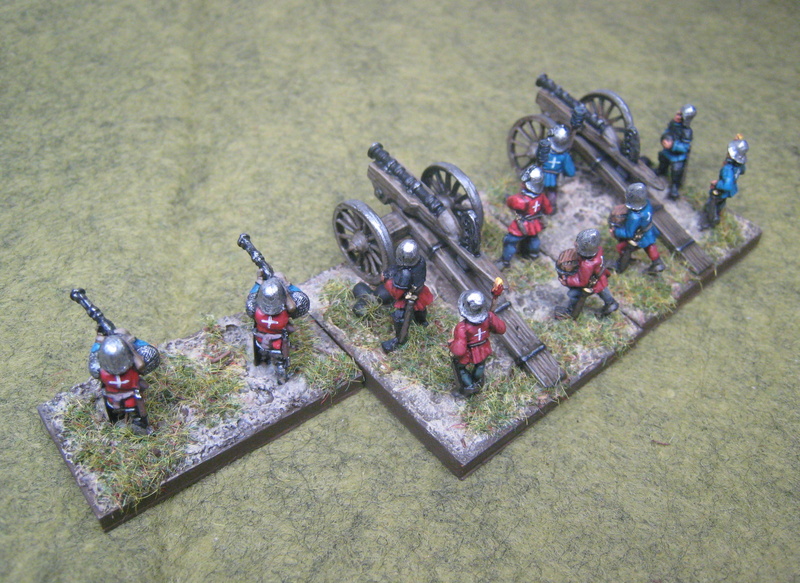 Everything is handpainted by me and I did not use any decals or washes. 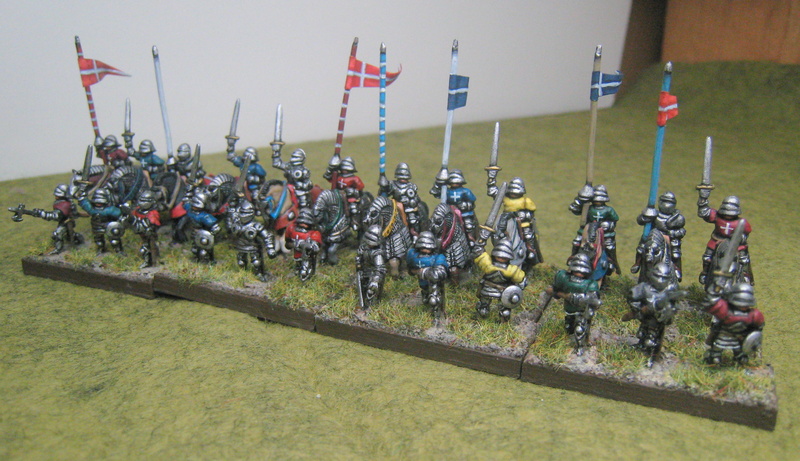 Here is a close up of the King, who is flanked by elements of the Scots Archers, his personal bodyguard. This was my first attempt at painting a fleur de lis. I think it turned out really well. The Ordonnance Knights did not carry shields with them during this period. The one thing that seems to be standard is the white cross on the cassocks of many of the troops. All four Ordonnance knights stands are allowed to dismount. 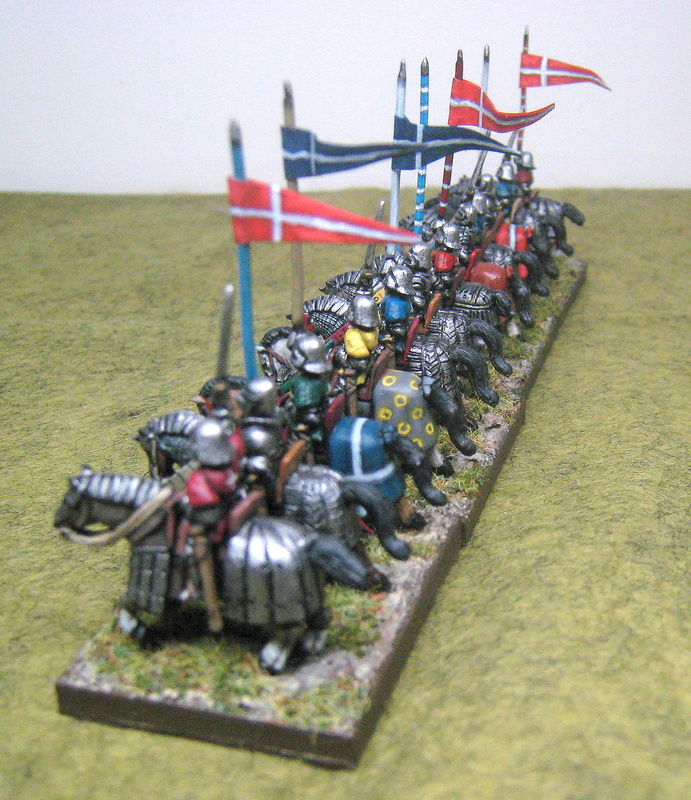 The dismounted version of each of the Knight stands has figures on foot that match the mounted version. 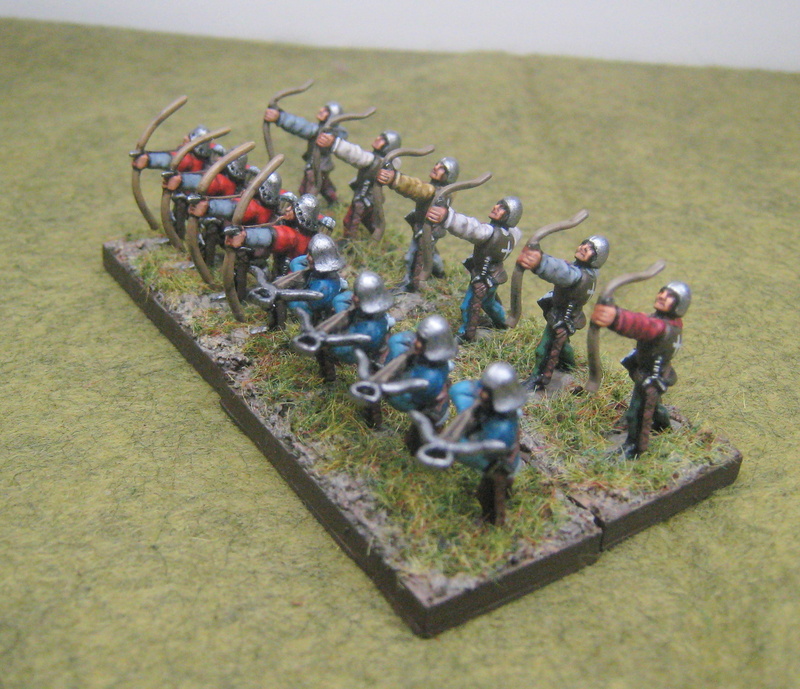 Here are the Franc Archers (2x 3Bw) and the Bow and Crossbow elements. 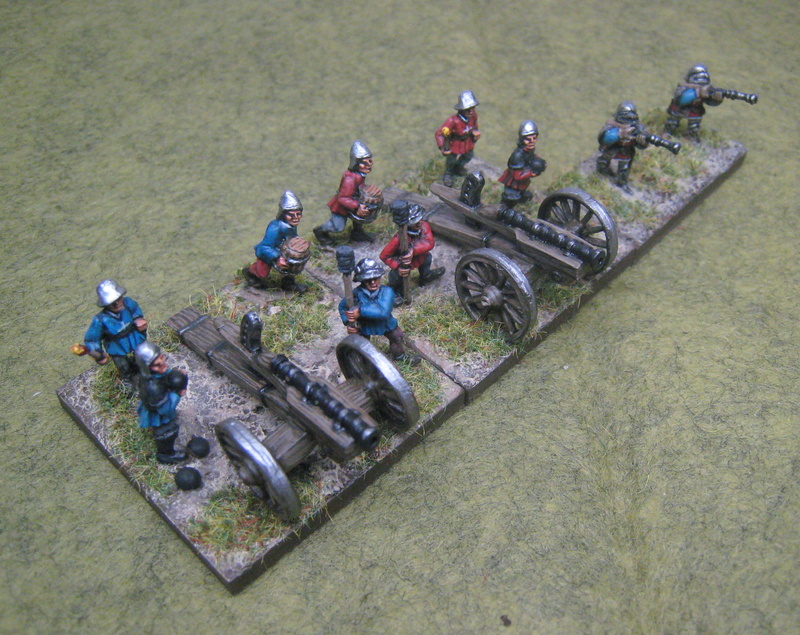 The gunpowder elements of this army consist of the handgunners, which are considered psiloi, and two artillery pieces. Fantastic wee army Tony, I particularly like the matching mounted and dismounted elements. 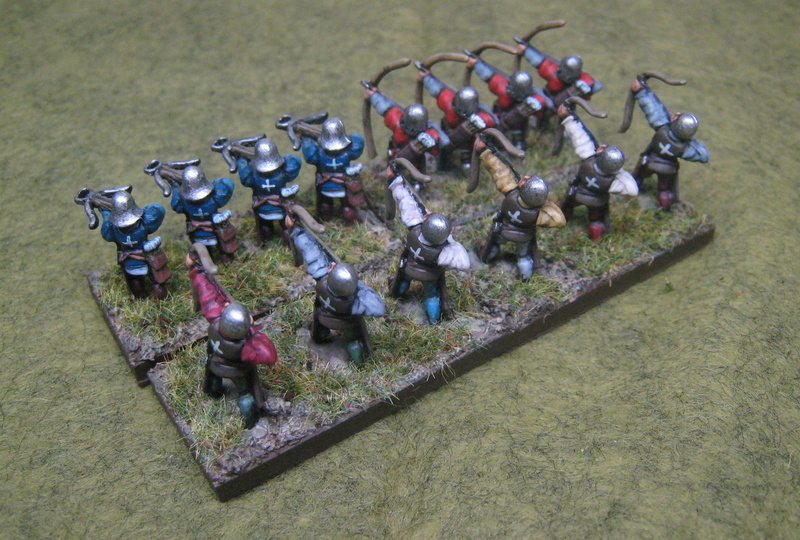 Do you think these Roundway figure would be suitable for Knights of St. John DBA Army? I have read that the French, Spanish and Italian contingents were the largest. DBA 3.0 Interview with Musashi.